A humbling quality of many Kenyans I meet is their strong desire to help one another, whether it be assisting a lost pedestrian, or lending money to a struggling neighbor despite their own financial challenges, or even starting a school in hopes of providing quality education for all. Although I have been to many schools since my arrival in Kenya, I never tire of seeing the infectious smiles of the students or the staff working tirelessly to succeed in this admirable endeavor. I had the pleasure of visiting Vision King Academy for the second time, excited to see Pherister Ndoge once again, this time a new member of Zidisha. Never envisioning what it is today, Pherister began her career as the director of a daycare, wanting to help working mothers in her community. With three children to start, the numbers quickly multiplied and eager parents persuaded her to embark on the creation of a school. Although Pherister’s background was in accounting, she took the ambitious leap into education. Finding a location was the first obstacle and due to the decrepit conditions of her newly rented space, many did not think she would succeed. Sewage lined the entrance of the school, the rooms were in no shape for a classroom, and the building was also shared with live-in tenants. Despite the onslaught of negative feedback, Pherister persevered. She fixed up the room and cleaned up the entrance, covering the walkway with cement. As improvements were made, more and more started to see Vision King Academy as a viable place for education. Vision King Academy now has almost seventy students with classes ranging from baby class (children less than 2 years old) to third grade. Renting only one room last year, Pherister is now able to rent five! With palpable gratitude, she tells me how receiving the loan from her lenders has given her hope. Due to the high demands of other institutions (i.e. interest rates, savings, meetings, groups), Pherister had no options, but when Duncan Chege (Volunteer Mentor of Zidisha) introduced her to Zidisha, she knew she found what she was looking for. With the loan, Pherister was able to purchase wooden benches for her classroom, as the plastic chairs would easily break. She also anticipates painting her walls because parents would often say the red and white walls of her classrooms resemble a butchery (all butcheries in Kenya are painted red and white). With the help of Zidisha, Pherister hopes to show more families that Vision King Academy is a great learning environment for their children. Pherister is currently taking Early Childhood Development courses on her holidays. She would like to see Vision King Academy receive more students, which will enable her to rent the entire building, no longer having to share the space with tenants. Intending to be a long-lasting Zidisha member, I know she will achieve this. Knowing I was coming, Pherister planned a special morning for the students, treating them to biscuits and colorful balloon hats. It was a sight to see and despite the pouring rain and chill in the air, our morning was filled with such warmth and heart. Thank you Pherister for a wonderful morning! I hope that attendance rises now that elections are over. I can’t wait to see how Zidisha can assist you and Vision King even more! Zidisha has really changed the face of this school , It was like a dream to me to get sponsored, and i look forward to be faithful in every coin given to support this school hoping through Zidisha i will not end the year sharing the school with tenant for me to be able to serve this children and also they can have a play ground. Am thankful to my lenders who have made me to smile again. Children can afford a smile, I smile the brightest. What used to be a dream, now its a reality.May Zidisha live long and keep on touching the lives of the needy. I renovated the classrooms with the loan that I got and added more desks and chairs and the number of new pupils joining the school is growing day by day. The environment is now conducive, with new painting on the wall which eliminated the red colour (the ones used in butcheries) and now somebody can recognize the school. I believe God that with Zidisha help and my efforts, I will be able to add more classrooms since the ones I had will be full soon and I assure you lenders that I will play my part to make sure that I continue serving this children to demystify the private education system which earlier was perceived to be only for the wealthy and royal families. The second term is going on well and I have received more pupils joining my school. I managed to add another classroom, desks and also employed another teacher to teach pupils. This has touched the lives of parents, pupils and teachers who also earn an income from this project and its a win win situation for everybody. 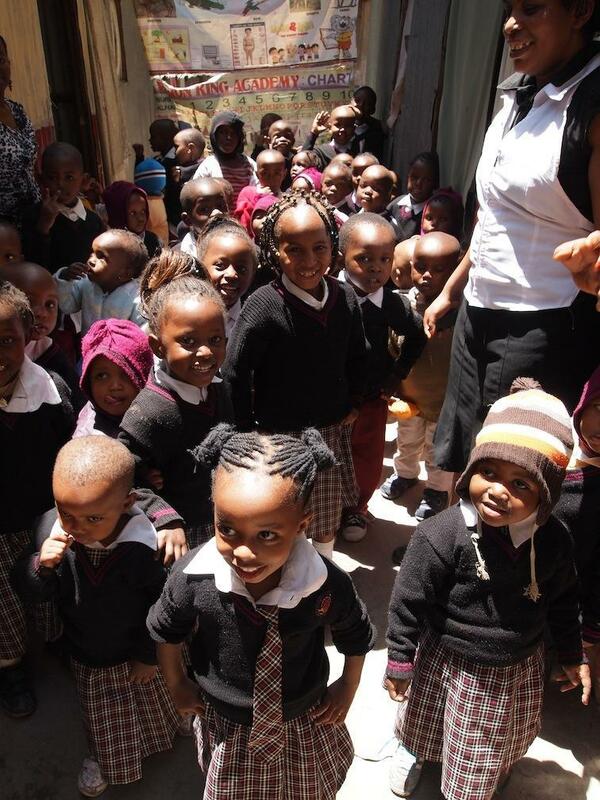 I humbly welcome all lenders to fund my loan so that I can be able to achieve the desire of serving this kids. Currently the classrooms are packed to capacity and I want to add more classrooms during the August Holiday when the school is closed. I will also use the money to renovate the existing classrooms by cementing the floor which is already worn out. When I add more classrooms , I will also buy more textbooks for reading as well as other teaching materials so that I can prepare myself for the third and last term this year. Once again lenders I thank you for your generous funding in my previous loan. Wow, This is awesome, amazing, interesting and beautiful to my eyes. I just posted my loan two hours ago and now its 24% funded! I sincerely thank the lenders who have played their part to make me achieve this in a short period of time. Sundstorms, Mzeenamama,Potkukekka and ZiataRoy receive my sincere thanks for your generous bidding. You are the source of inspiration and motivation towards delivering the required services of education to the kids in my community. I visited Pherister myself while in Kenya last year, and have a profound admiration for what she has built and the many lives she has transformed with what she has built. What is so remarkable is that this was made possible by many people joining forces to make Vision King Academy grow and flourish. Thanks to this coming together, lenders like Potkukekka in Finland and Susansfund in Colorado are making their own legacy better education for tiny children in this forgotten corner of the world. Posted on February 21, 2014 by Julia Kurnia. This entry was posted in Uncategorized. Bookmark the permalink. It made me so glad and proud to read this post! Even though my nickname was mis-spelled… I hope all the best for ms. Ndoge and her pupils. It’s so inspirating to see how splendidly they all are doing. Keep up with the great work!